The property clean out service or dumpster rental conundrum is faced by everyone who undertakes a remodeling project. 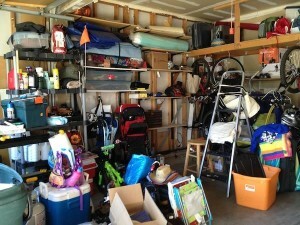 Maybe you’re dealing with a hoarding cleanout rehabilitation project or you are building a room addition. Perhaps you’re relocating a business and need to complete an entire office clean out or are gutting a whole kitchen to remodel it from top to bottom. Whatever you have on-hand, you know it will generate a lot of debris and you’ve got a bunch of stuff to throw out. So, you’re wondering what’s the difference between a property clean out service versus a dumpster rental? Well, you already know the primary difference — one is a service team and the other is a temporary container rental. But, if you are facing the hoarding clean up process or taking on another kind of project for your home or business, you probably think there isn’t much difference. Albeit price will certainly play a role in your ultimate decision, you should know more about how each industry operates. After all, you want to accomplish more than one goal. Avoid heavy lifting. If you rent a dumpster, you won’t get any helping hands to go along with it. That means, all the heavy lifting is your responsibility. Either that, or cash-in on some big favors from family and friends. But, if you hire a property cleanout service, all the hard work will be done for you. No sorting is required. One big catch dumpster rental companies do not advertise is the fact they will not accept certain items. Typically, these include hazardous waste, electronic waste, but can certainly prohibit a lot more. That means getting rid of what’s prohibited is your responsibility. Receive an upfront price quote. With a property cleanout service, you’ll receive an upfront price quote, as you will with a dumpster rental. So what’s the difference? Well, if you don’t have the right measurements, you could rent a container that’s too small or too large. Either way, you’ll waste money in the end. Prevent unnecessary inconveniences. After the dumpster is dropped off at your location, it’s not going to be moved until its scheduled pick up time. That means having to work around it, which can mean having to park elsewhere and other inconveniences. Avoid possible code or traffic violations. Another problem with a dumpster being dropped off, it is might be a code violation because of where it’s placed or because of its appearance. What’s more, if it’s placed on or near a street, that’s a potential traffic violation. When you need an experienced and reliable property clean out service, just phone 800-433-1094 or visit Junk Garbage Removal. We have the manpower and equipment to do the job quickly and efficiently and do it right.